I’m just wondering how to work this question with H+A=T or not and what the best way to get it right. If you are 30 nm East of the NDB on HDG 330 to intercept with 30 deg, what’s the HDG TO the NDB. You haven't got enough information to answer that question. If you are 30nm east of the NDB and you are going to make a 30° intercept of a particular track, you will have to know what track you are trying to intercept. The question hasn't told you that. To make a 30° intercept of the 300°M track from the left, you would need a heading that is 30° to the left of 300°M. 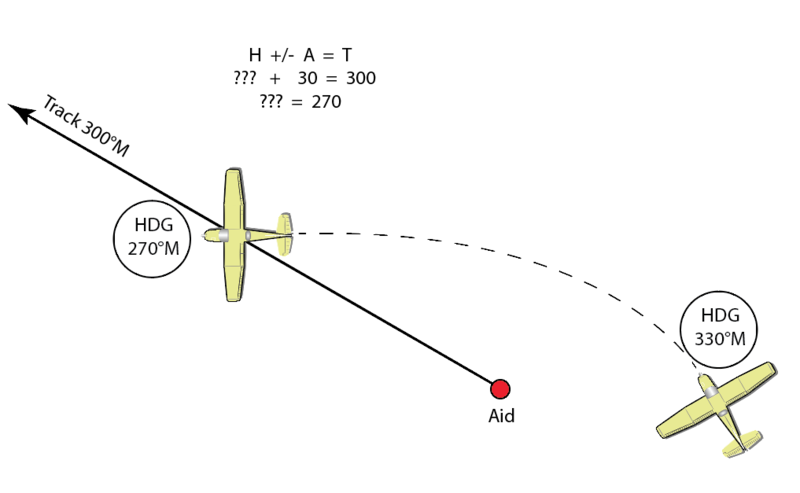 So turn onto a heading of 270°M and fly until the ADF reads +30 from (210°R or 30° off the tail). Thanks bob, that’s make it more clear for me. Really appreciate your help.